George Clark writes with a check to the Berry Schools remembering his father contributed often when he was alive. 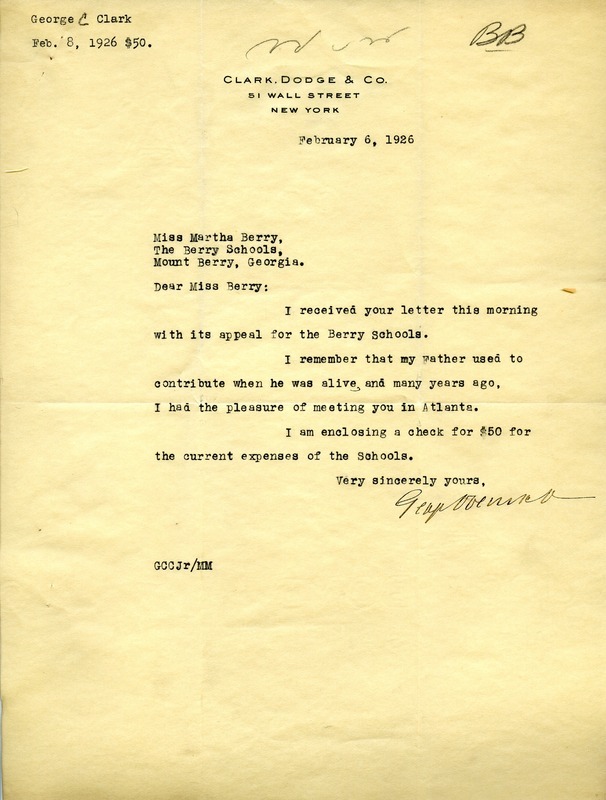 Mr. Martha Berry, “Letter to Martha Berry from George Clark.” Martha Berry Digital Archive. Eds. Schlitz, Stephanie A., Aaron Jackson, et al. Mount Berry: Berry College, 2011. accessed April 25, 2019, https://mbda.berry.edu/items/show/1054.